If you are here, most likely you are a person who had just learned about kratom and wanted to try it by finding a high-quality kratom vendor. You made the right decision to do your research first than just go directly to a website that first appeared on your Google’s search results. If kratom is legal in your area, finding where to purchase it is not a problem. It is finding a high-quality one that is more challenging. There are tons of online kratom merchants nowadays, and some of them are shady and frauds. Remember, kratom is an herb and not a drug. If you want to support the legalization of kratom in every state of America, you should support the good vendors and not the bad ones. Bad or unethical kratom merchants market their products the wrong way. Some of them put labels that kratom is a legal high, legal opiate or heroin just to sell. Some bad merchants impliedly sell the product to children. They do it by preparing the kratom in a catchy packaging that intends to grab the children’s attention. 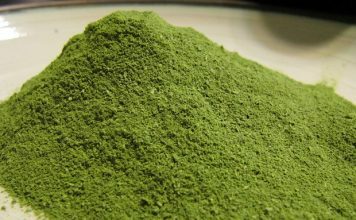 Others make false medical claims that kratom can actually “treat” some diseases or disorders. Honest vendors have to make it clear that kratom is an unapproved product and should not make any medical claims about it. GMP stands for Good Manufacturing Practice guidelines issued by the FDA. Even though the FDA is a little bit skeptical about the consumption of kratom, it is still legal in some states. However, responsible vendors are expected to comply with these guidelines based on the FDA’s Code of Federal Regulations Sec. 101.36. Most reputable vendors are members of local organizations like the American Herbal Products Association (AHPA), which is a good sign that they are high-quality kratom vendors. Honest merchants are transparent. They should not feel defensive when you ask them about the proof of the quality of their products. In fact, they should be happy to entertain you because that is their chance to brag about their product’s value. Therefore, do not hesitate to contact them and ask for the proof of their product’s quality. Honest merchants should be able to present the laboratory assays that confirm that their product is pure and unadulterated. They can also present a Certificate of Analysis which proves that their products are free from contaminants. You may ask for a copy of the results of the analysis to ensure that the certification is real. The Internet is the best platform to find the reputable merchants. Although kratom is available in local head shops, gas stations, and smoke shops, the online merchants are more trustworthy. Most of the time, the merchants from a local shop are not knowledgeable of kratom. There is a huge tendency that they are selling a subpar product because of the lack of knowledge and demand. Therefore, it is best to buy from a website. It does not mean that you can just go to any kratom website online. You have to follow the guidelines stated above or do your research to find the reputable ones. Shady kratom websites are also prevalent, so you have to be careful. If you insist on buying in a local shop because you want your kratom immediately, be very keen and observant. Go to the trusted online directories like Yelp. These kinds of directories have consumer reviews in them which tell about the merchants, their products and services. Finding high-quality kratom merchants takes time and effort, but it’s worth it. By following these guidelines, the fraudulent vendors will not be able to dupe you into buying their shady products that only encourage the banning of the kratom products in the country.